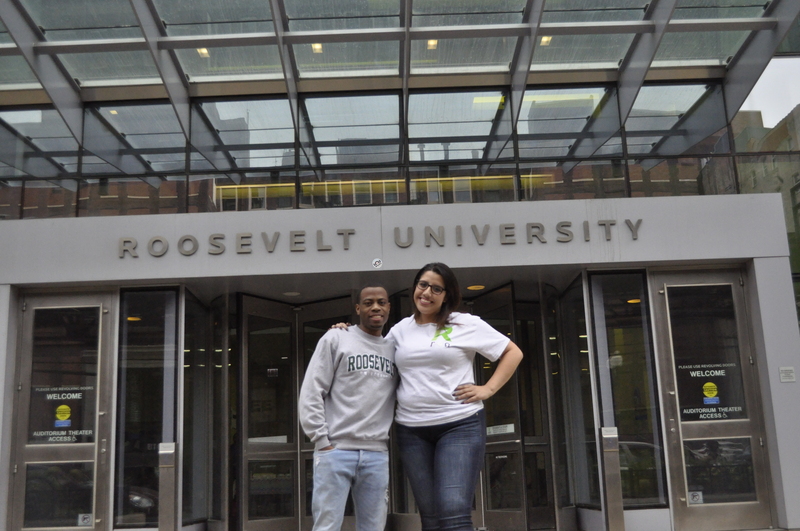 When Roosevelt University seniors Bryant Riley and Jessica Leon were awarded donor scholarships for the 2015 academic year, they thought that some of the burden of crippling tuition costs would be taken care of. To their surprise, Roosevelt University Office of Financial Aid apparently enacted a new policy this year that severely affects the amount of money students accept from donors through Roosevelt resource, Scholarship Central. “It’s like you win one and you lose one,” Bryant Riley said of regarding his frustration in forfeiting his institutional grant (Roosevelt University grant) in favor of his awarded donor scholarships. Riley is no stranger to receiving scholarships as he was awarded approximately $18,000 this year through donors. After the acceptance of his scholarships, he reviewed his financial aid status and found that roughly $10,500 was cut from his institutional grant. “My institutional grant in the previous years was always about $10,500, so they [FAO] cut that completely because I won the donor scholarship,” he said. According to Riley, during a meeting with Roosevelt financial aid director Brandon Vinson, Riley was informed that students are no longer allowed to stack donor scholarships with the institutional grant. Naturally, Riley inquired what the incentive would be for students to even apply for scholarships knowing that they are sacrificing their institutional grant. Riley said that he was told that the institutional grants taken from scholarship winners are given to other students in need of financial aid in the form of an institutional grant. “It may sound selfish, but it’s not a benefit to that particular student. What about the student who actually worked hard to earn that donor scholarship? It’s like they’re being stripped away of the money that they are rightfully owned,” Riley said. Unlike Riley, senior hospitality student Jesica Leon was forewarned by her financial aid advisor that her funds would be “reallocated” with the acceptance of her donor scholarship. “My scholarships totaled to about $7,000 combined, and sure enough my RU Grant decreased by the exact same amount. What was the point of us even applying for these scholarships if in the end it’s not going to make a difference?” Leon said. Sure, a large portion of the student body is supposedly benefitting in this situation, but at what cost? “At the end of the day, I still feel it’s unethical. The donors who actually donate this money probably don’t know that anytime a student receives one of their scholarships that the school lowers something else in financial aid and they end up paying the same thing,” said Riley. Regardless, Leon urges students to take the initiative when it comes to their finances. “My advice to all students is to make sure that you are on top of your own information because Financial Aid isn’t going to tell you they’re decreasing your grant,” she said. The Office of Financial Aid was contacted on multiple occasions for this story, and declined to meet with the Torch.